Made by Benham, John in Sydney, New South Wales, Australia, c.1835. Upright piano constructed on a timber frame with metal bracing. Australian red cedar case features decorative pillars with Egyptian-style lotus capitals. A candle stand is concealed on each side of the keyboard and may be pulled out by lathed bone knobs. Red silk front panel gathered at the centre to form a roseate is not original but is authentic in style. Compass six octaves (FF-f''''); bichord throughout with lowest thirteenth notes overspun. The strings individually hitched and run straight to the floor, hammers were originally covered in leather. Piano keys have decorative moulding on fronts. The soundboard has been made in sections, possibly of Agathissp or kauri (Moule). Piano fitted with two pedals (una corda and sostenuto). Name plate with inscription J. Benham - Pianoforte maker Sydney. Maker's label reads: J. BENHAM/Piano-forte Maker/SYDNEY. Two cottage cabinet pianos of "Australian Materials and Manufacture" were advertised for sale by Benham in the Sydney Gazette in 1835 (The Sydney Gazette & New South Wales Advertiser, Thursday 10 December 1835, p.3). John Benham arrived in Sydney with his wife and four children in 1833 and is listed in the Australian Almanac and Sydney Directory as a pianoforte maker in Upper Pitt Street in 1834. The New South Wales Calender and General Post Office Directory of 1835 lists him at Liverpool Street, Sydney. This is corroborated by a newspaper advertisement which gives his address as "No.5 Liverpool-street, East" (The Sydney Gazette & New South Wales Advertiser, Thursday 10 December 1835, p.3). By 1837 Benham had moved to new premises in York Place and posted a "Notice of Removal" regarding this in The Sydney Gazette (The Sydney Gazette & New South Wales Advertiser, Tuesday 27 June 1837, p.3). In 1839 the New South Wales and Port Phillip General Post Office Directory still listed Benham's address as York Place, York Street, Sydney. The City of Sydney Directory of 1844 gives his address as 118 York Street. In all these directories and advertisements he is identified as a pianoforte maker. John Benham was born in England about 1784 and was 49 years old when he migrated to Australia. His profession was recorded as a cabinetmaker according to the arrivals notice published in the Sydney Herald in 1833 (The Sydney Herald, Thursday 17 October 1833, p.2). Benham is believed to have made several piano's in Australia but it is unconfirmed so far if he worked for a piano manufacturer in England before coming to Australia. He died at the age of 61 on 17 October 1845 at his residence in York Place, York Street (The Sydney Morning Herald, Monday 20 October 1845 p.3 and The Atlas, Vol.1 No.48 25/10/1845 p.575). The information on his burial record and in the newspaper death notice puts his age as being 61 years. 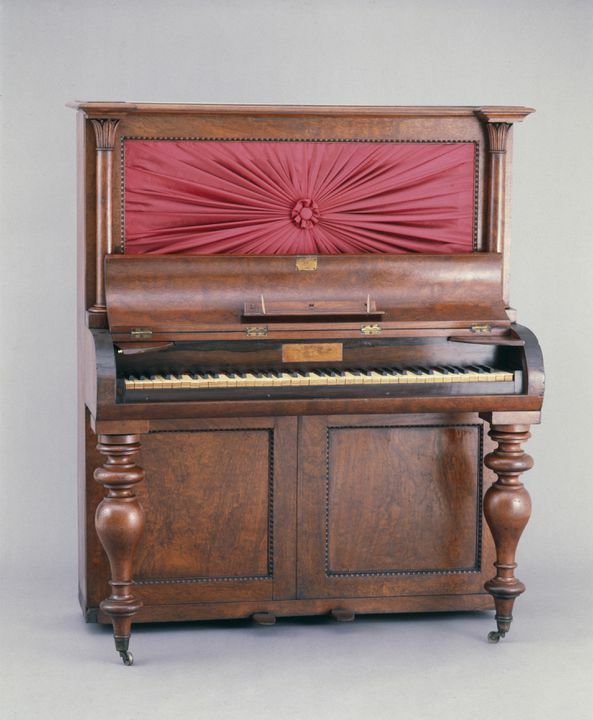 Along with one of Sydney's earliest musical instrument retailers, Francis Ellard, John Benham was called on as a piano expert to give information in a court case in Sydney in 1835 regarding a dispute over the value and sale of a piano (Stephen v. Lyons). In the case Benham describes himself as a pianoforte maker and a repairer of pianos. The case was reported in the Sydney Gazette on 9th July 1835.